The Engine 2 Diet has sold hundreds of thousands of copies and inspired a plant-based food revolution. Featuring endorsements from top medical experts and a food line in Whole Foods Market, Engine 2 is the most trusted name in plant-based eating. Now Esselstyn is presenting a powerful, accelerated new Engine 2 program that promises staggering results in record time. In just one week on THE ENGINE 2 SEVEN-DAY RESCUE DIET, readers can expect to: lose weight (up to 14 pounds), lower total cholesterol (by 32 points on average), drop LDL cholesterol (by 22 points on average), lower triglycerides (by 75 points on average), and lower blood pressure by an average of 10/5 points. 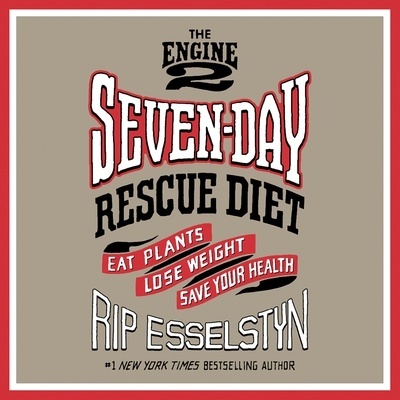 THE ENGINE 2 SEVEN-DAY RESCUE DIET will bring the benefits of the Engine 2 program to a whole new audience of readers, by showing that all it takes is seven days to see incredible and motivating results! "Follow the program contained in The Engine 2 Seven-Day Rescue Diet and you will see positive results in your health, your fitness level and, most importantly, your life."